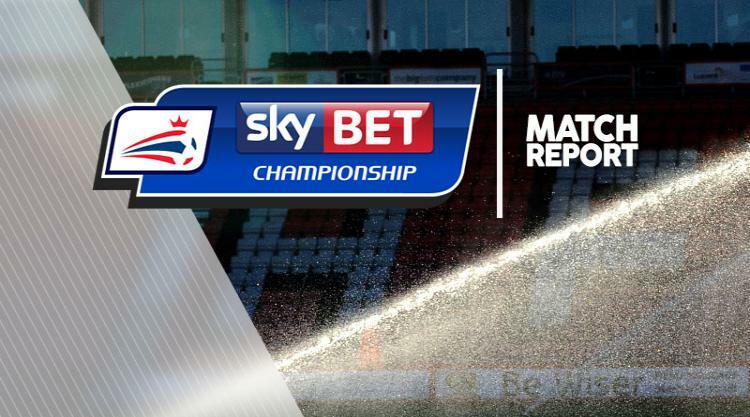 Bobby Reid hit a late equaliser as Bristol City battled back from two goals down to rescue a 2-2 Sky Bet Championship draw at Rotherham. Rotherham hit the front after six minutes when Aden Flint and goalkeeper Richard O'Donnell got in each other's way, allowing Izzy Brown to open the scoring. Flint then diverted Greg Halford's weak shot into his own net after 58 minutes to compound a miserable personal display. Tammy Abraham dragged Bristol back into the game with a close-range finish after 74 minutes. Reid then capped a superb personal display to deservedly level after poking home Joe Bryan's cross with six minutes to go. City were desperately unlucky to not find a winning goal, with substitute Jamie Paterson hitting the inside of the post in the last minute. Brown gave Rotherham the perfect start when he pinched the ball before rounding O'Donnell and tapping into the empty goal. Bristol went close to levelling after 15 minutes when Abraham's cheeky back-heel was gathered low down by a scrambling Lee Camp. Reid's looping header went a yard over after 22 minutes, before Halford headed a corner over for the Millers on 30 minutes. The Rotherham goal continued to live a charmed life when Reid and Gary O'Neil both had goal-bound shots cleared during a scramble two minutes later. Referee Andrew Madley waved away shouts for a City penalty on 42 minutes after the visitors felt Abraham had been pulled back in the box. Danny Ward saw a thunderous effort beaten away by O'Donnell as the Millers started the second half well. Halford showed great awareness to block a goal-bound effort from Reid on 48 minutes, before a frustrated Reid had a header saved three minutes later. Goalscorer Brown fluffed his lines as he dragged an effort wide from 18 yards as Rotherham caught the visitors on the break. Flint then made it a day to forget as he diverted Halford's shot into his own net via the post and crossbar. Danny Ward should have made the game safe for the home side after 67 minutes, but he blazed well over after getting goal-side of the defence. Abraham gave the visitors hope when he prodded home close range after Lee Tomlin's low shot led to a goalmouth scramble. And Reid finally got the goal he deserved after 84 minutes when he lunged to poke home from a yard out. City then had a number of chances to bag all three points with Reid, Callum O'Dowda and Paterson all going close in the last six minutes.